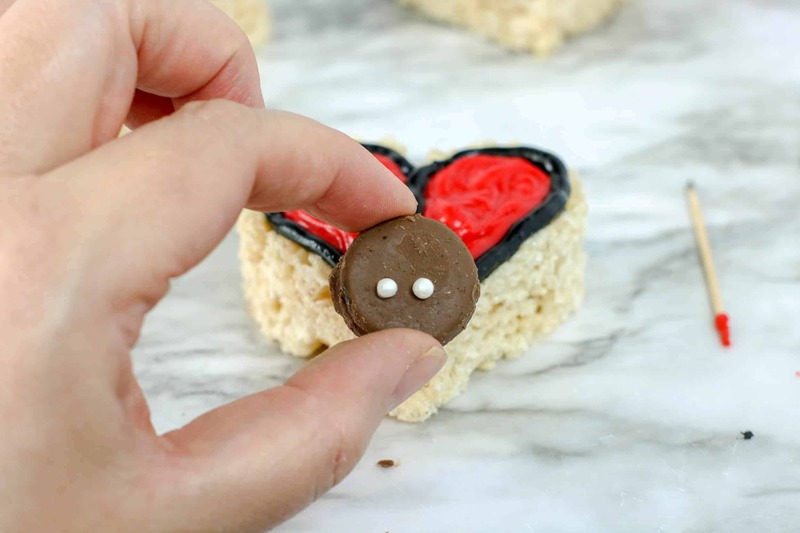 If you’re looking for an easy rice krispie treats recipe then look no further! 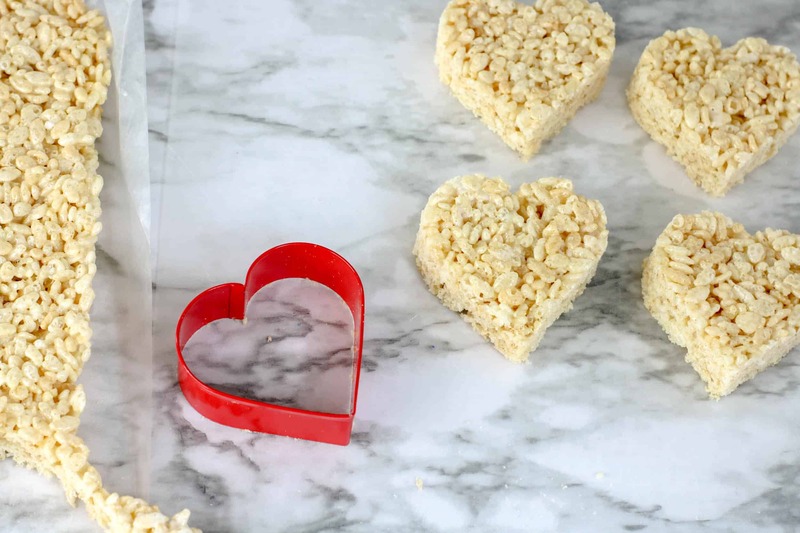 Today we have this fantastic homemade rice krispie treats idea which is perfect for spring. 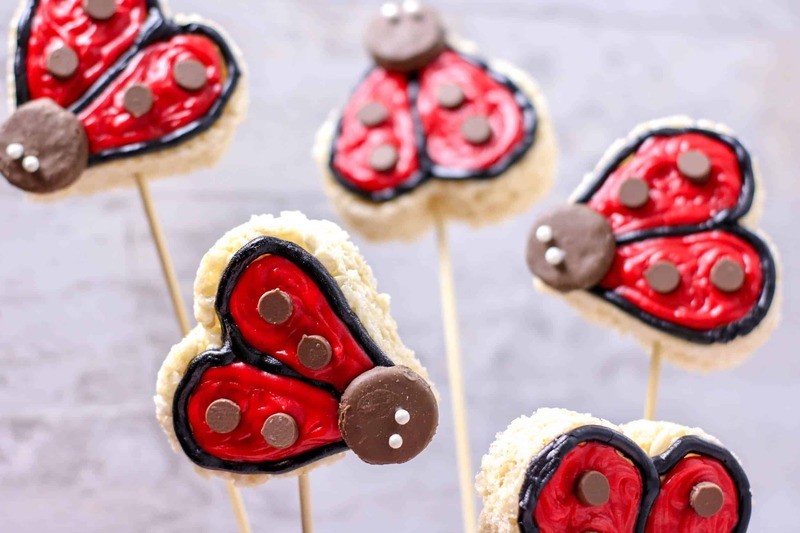 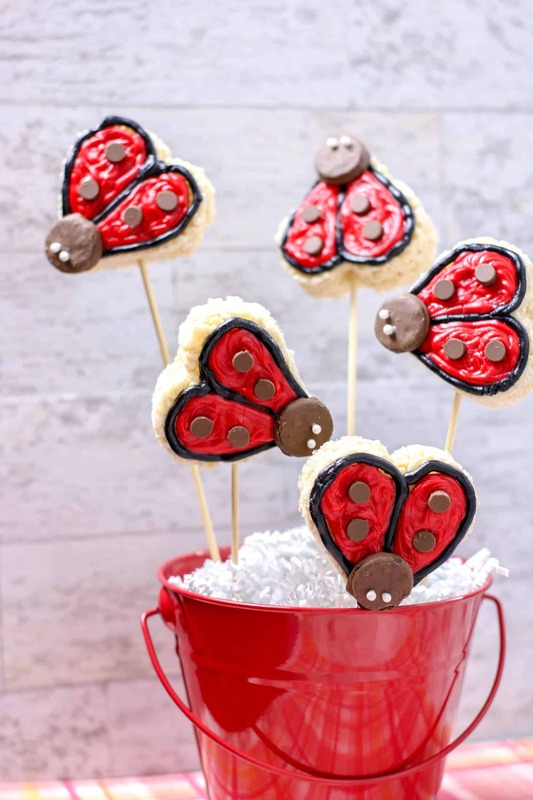 These super cute ladybugs are a great kids party food idea or one you can make as part of a spring themed unit study. Use cookie cutter to cut treats. 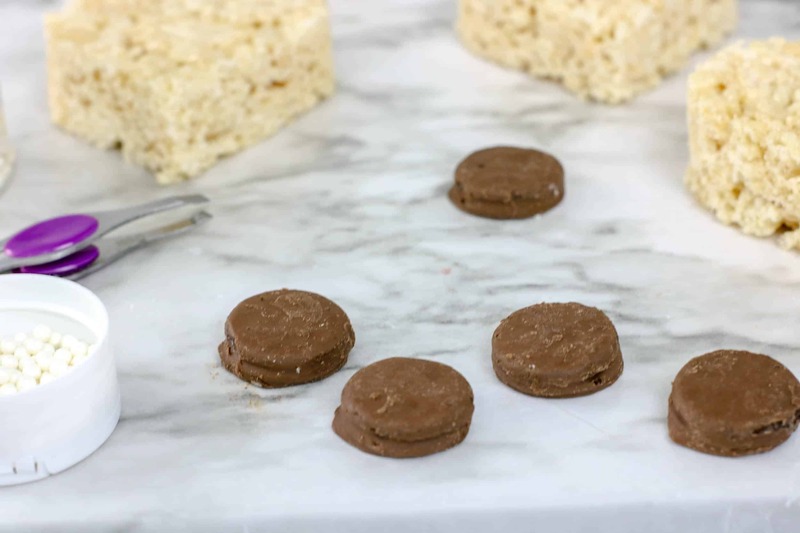 If the treats are loose, press additional krispy mixture into the cookie cutter before releasing the shape onto waxed paper. 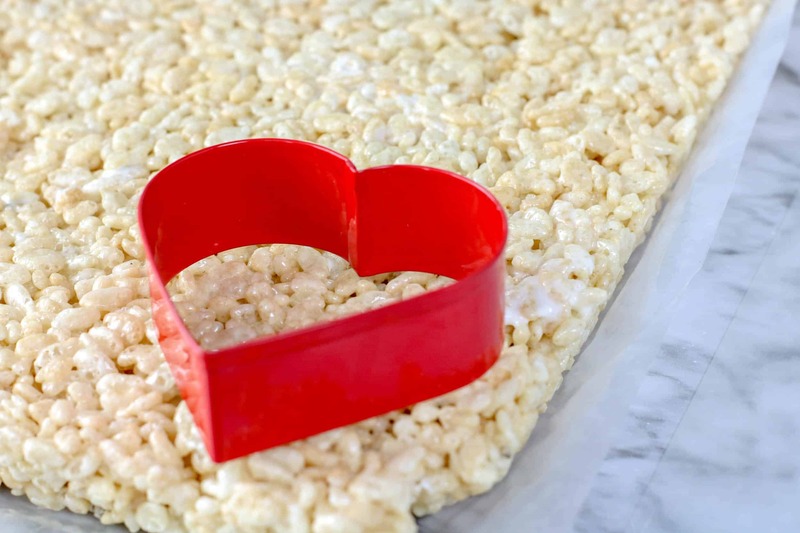 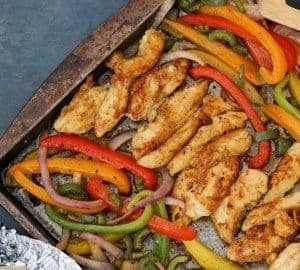 Reshape the remaining cereal in your baking pan until all is used. 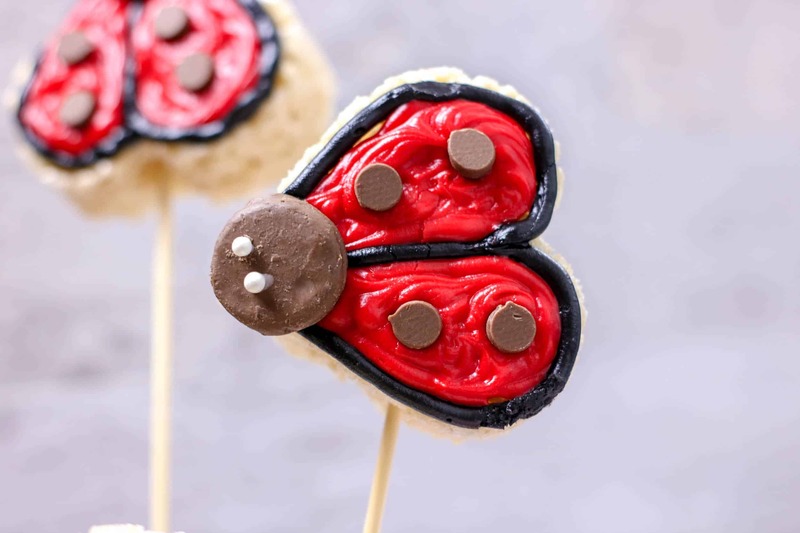 Using the round tip on the black icing, outline the ladybug and create a line up the center. 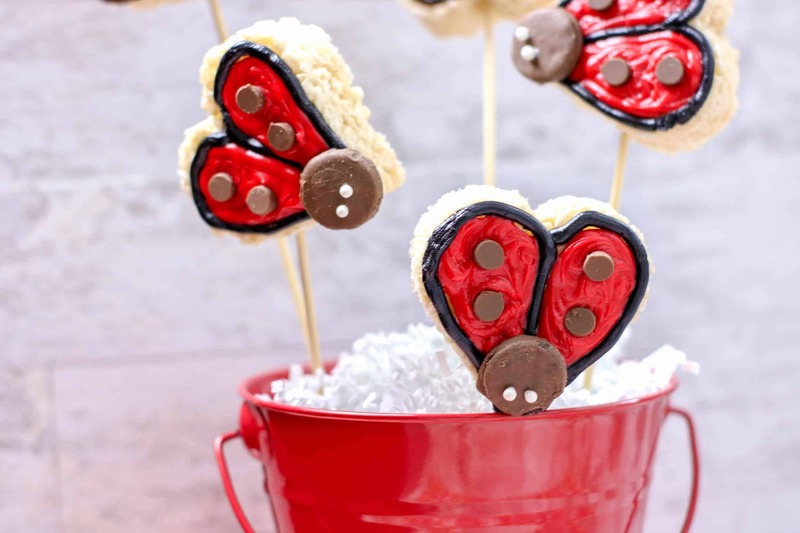 Fill the remaining space with red icing. 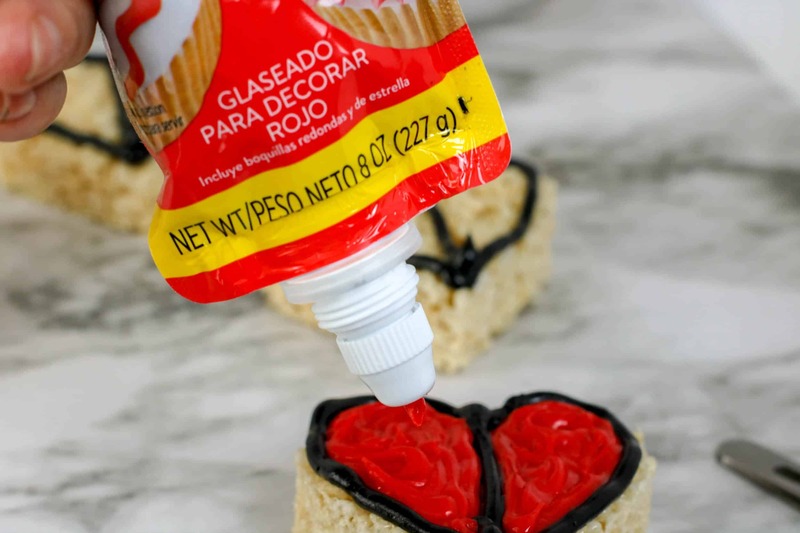 You can use a toothpick to smooth and spread the icing. 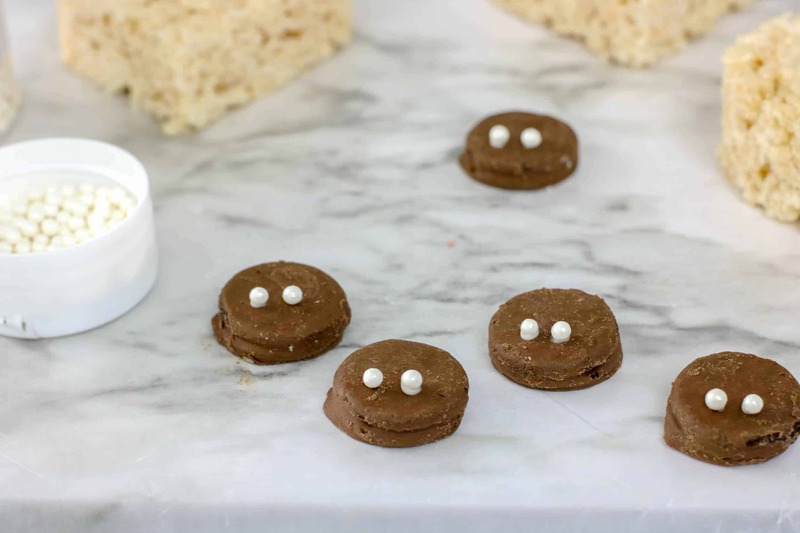 Immediately add the Oreo head and milk chocolate morsels (as spots). 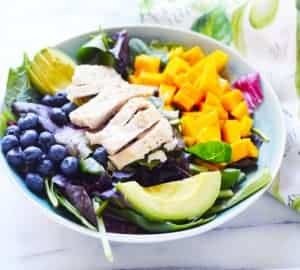 Allow to dry before serving. 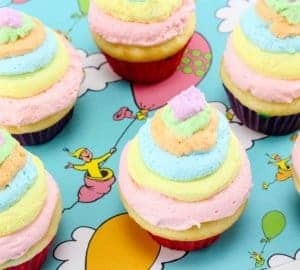 Cook’s notes: If you prefer not to use store-bought frosting, coloured royal icing can be used. 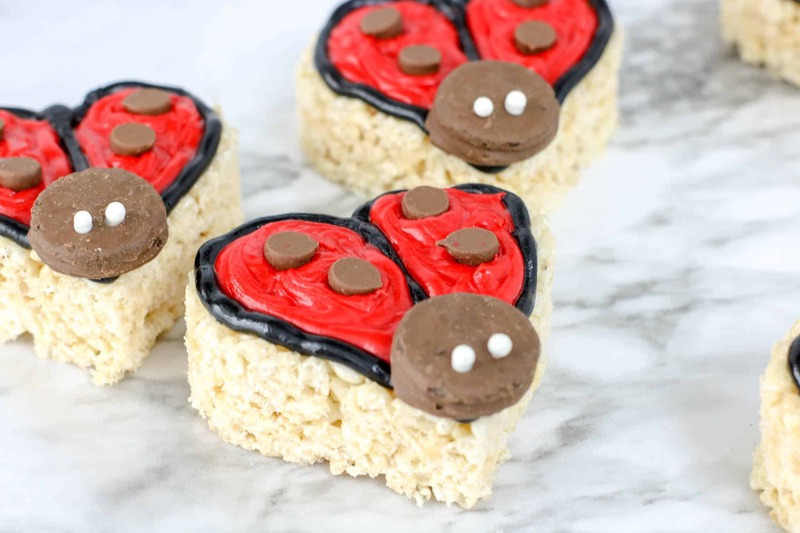 Enjoy your lovely Ladybug Rice Krispies.